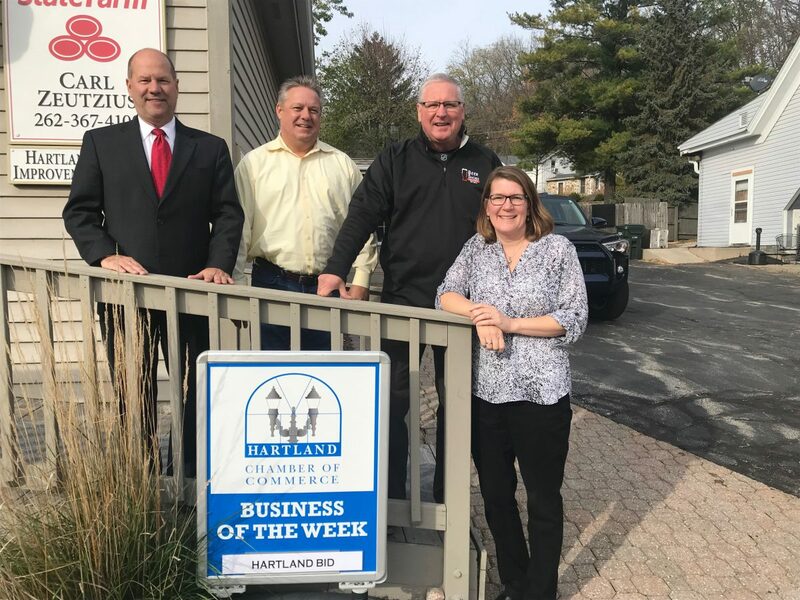 Pictured from (l-r) are BID Board members Tom Brass,Tom Brass Agency; Scott Heyerdahl, Scott Heyerdahl- First Weber, Premier Partners; Steve Berger, BEER SNOBS Ale & Eats; and BID Director Downtown Hartland, Cindy Gardner. The mission of the Hartland Business Improvement District (BID) is to provide leadership for the vitality of downtown Hartland. The BID works to attract new businesses to downtown, to promote new and existing businesses and to assist with their expansion. Additionally, the BID offers marketing, business development, economic development and business education for downtown businesses. By attracting people to live, work, shop, dine and connect in downtown Hartland, the village is becoming a premier destination place in the Lake Country area. For more information on the Hartland BID and happenings downtown, please visit www.downtownhartland.com.. The Hartland BID can be reached at (262) 367-6560. They have been a member of the Hartland Chamber for seven years.